APAHD Hall Ticket 2018: Job seekers gather the information related to APAHD Hall Ticket 2018. From this web page, aspirants may know the details about the release date of admit card, exam date and how to download the hall ticket. The Andhra Pradesh Animal Husbandry Department discharged the advertisement for total 78 Posts. And participants who applied for Veterinary Assistant Surgeon Vacancies, they need to download the hall ticket through online. Moreover, we attached the direct link to download the hall ticket. So contenders read this article until the end and collect the APAHD Veterinary Assistant Surgeon Admit Card 2018 through official portal. The APAHD Hall Ticket 2018 is available in the official portal of Andhra Pradesh Animal Husbandry Department that is ahd.aponline.gov.in. For the sake of contenders, we provide the list of documents on this web page. Therefore, applicants check the details given in this page and download the hall ticket as soon as possible. Candidates have to download the APAHD Hall Ticket 2018 with the help of Registration Number, Date of Birth and Password in appropriate fields. Also, aspirants have to download the hall ticket through online only. Moreover, job hunters who are willing to participate in APAHD Written Test, they need to download the hall ticket. Furthermore, verify the details appeared on the hall ticket. And the details are such as Name of the Candidate, Signature, Date of Birth and many more. If these details are incorrect, applicants have to rectify the mistakes by consulting the higher authorities of Andhra Pradesh Animal Husbandry Department. So contenders check the mistakes immediately appeared on the APAHD Hall Ticket 2018. Because to rectify the mistakes higher officials will take some time. So download the APAHD Veterinary Assistant Surgeon Hall Ticket 2018 and get ready for the written test. The APAHD Veterinary Assistant Surgeon Recruitment process is started from 5th May 2018 to 31st May 2018. After completion of filling the application, competitors have to wait for admit card. Candidates who registered for APAHD Veterinary Assistant Surgeon Posts, they have to download the APAHD Hall Ticket 2018 before the exam. And also job seekers have to check the instructions given on the hall ticket. Moreover, applicants who did not enter the correct details like Registration Number, Date of Birth and Password, they are could not download the hall ticket. So contenders have to store your details and use those details to download the hall ticket. Furthermore, aspirants have to follow our portal that is Sarkari Naukri to know the latest information related to Results, Previous Year Question Papers, Syllabus and many more. Participants who want to enter into the APAHD Veterinary Assistant Surgeon Written Test, they must and should download the hall ticket. Moreover, at the end of this web page, we arranged step by step process to download the APAHD Hall Ticket 2018 through an official portal that is ahd.aponline.gov.in. In the next section, we mentioned important identity proofs, applicants check the list and take a print of id proof to the examination hall. And also we gather details, job hunters have to check appeared on the hall ticket. APAHD Hall Ticket 2018: Before going to the examination hall, candidates need to take a print out of hall ticket and identity proof to the exam. And also check the details appeared on both hall ticket and identity proof. Many candidates are interested to get a job in Andhra Pradesh Animal Husbandry Department. So aspirants have to apply and download the hall ticket. By downloading the hall ticket, candidates may have a chance to enter into the exam. So download the APAHD Veterinary Assistant Surgeon Hall Ticket 2018 as early as possible. If job hunters download the APAHD Hall Ticket 2018, they know the information such as Center of the exam, date of the exam and time duration of the exam. And applicants who did not download the hall ticket, cannot attend for APAHD Veterinary Assistant Surgeon Written Exam. The Andhra Pradesh Animal Husbandry Department is a government sector in Andhra Pradesh state. So contenders don’t neglect to download the hall ticket. First of all, applicants have to visit the official portal of Andhra Pradesh Animal Husbandry Department that is ahd.aponline.gov.in. Contenders search for APAHD Hall Ticket 2018 on the home page. 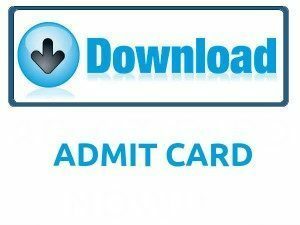 The APAHD Admit Card 2018 link is available on the screen. Now open the link and enter your details such as Registration Number, Date of Birth and Password on appropriate fields. Now the APAHD Veterinary Assistant Surgeon Hall Ticket 2018 is displayed on the screen. Verify the details appeared on the hall ticket. We suggest all candidates check the entire article and gather the information related to APAHD Veterinary Assistant Surgeon Admit Card 2018. In the above, we attached a direct link to download the hall ticket. So use the link and download the APAHD Hall Ticket 2018. Job hunters who compulsory download the hall ticket and submit it to the examination hall. The exam date, admit card available date, the procedure to download the hall ticket is given in an effective manner.